Clean Up Bins Adelaide hire out skips and waste bins containers to the domestic, commercial and industrial market in Adelaide, South Australia. We are locally owned and operated and we have been providing our service to Adelaide for over 27 years. Our service is used for all rubbish cleanup, home renovation or construction needs by a range of people including homeowners, builders, tradespeople and more! 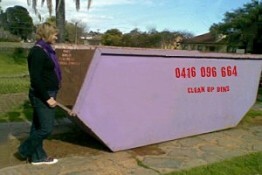 Clean Up Bins Adelaide is a household name in Adelaide. 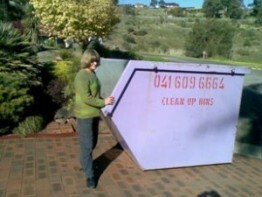 At Clean Up Bins Adelaide, we are dedicated to providing quality products and expert advice to ensure our customers are happy, 100% of the time. We pride ourselves on delivering a wide range of bins that cater for waste removal of nearly everything. From prunings and spring clean ups to hard rubbish, building renovations and concrete bricks – our equipment can handle it all. 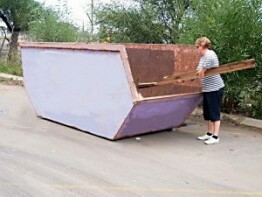 We deliver and pick up the waste disposal bins on time and ensure all your rubbish removal needs are met. 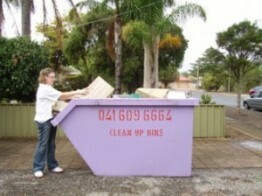 Why Clean Up Bins Adelaide? 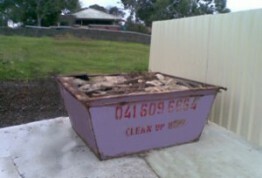 Clean Up Bins Adelaide is the company to call for site cleanups – no matter what the mess! For the disposal of waste, So when you couple these integral factors with our vast industry background, it makes sense to choose Clean Up Bins! If you’re looking for rubbish bins, storage bins, compost bins, garbage bins, plastic bins, recycling bins, trash bins, waste containers, recycling containers, skips or anything else related to waste disposal, talk to Clean Up Bins Adelaide to hire state-of-the-art equipment. Liked the text sent with photo that bin was removed. A company that is professional, thanks for your service.